McCain Mall Needs An Ice Cream Saloon Like Farrell's Again. When I broach the subject of long-gone restaurants, invariably one chain comes up -- Farrell's Ice Cream Parlour. It's become ingrained in the memories of folks my age as a magical place. And with the reintroduction of Mr. Dunderbak's at North Little Rock's McCain Mall, it would bring us another step closer to true nostalgia-ville. But Farrell's wasn't our only sweet treat delight back in those heady days of the 1980s. I'll elaborate in a moment. See, even Bill Clinton liked Farrell's. For those who didn't have the pleasure of growing up in the age of neon shoelaces and leg warmers, here's a bit of history. Going to the mall used to be a really big deal -- and there was none bigger than McCain Mall. Opened in 1973, it was the largest mall in the state (it still has more leasable space) until Central Mall in Fort Smith expanded in 1986. It had everything -- shopping, of course, but also a twin theater, restaurants, a great record store, escalators, two book stores, a Spencer Gifts, and Farrell's Ice Cream Parlour. You could spend a full day there! And many of us did. Sure, some came with our parents but others were dropped off with a $10 and a note to meet back at the entrance at a certain time (we wore watches then; this is before CAR phones, much less cell phones). You could go catch a movie, buy stuff and eat all in one place. Actually, you can do that now -- since MM Cohn's was replaced by a new movie theater complex a few years ago. But I digress. Down on the first floor at the north entrance, there was an awning that spread out into the hall. If you passed under that awning, you could step down into a land of pure fun, where both waiters and waitresses wore striped shirts, vests and hats and an ice cream extravaganza was waiting for you. Farrell's Ice Cream Parlours started in Portland, OR in 1963. At its zenith it operated restaurants in 32 states across the United States. The location at McCain Mall in North Little Rock was one of the more successful stores. 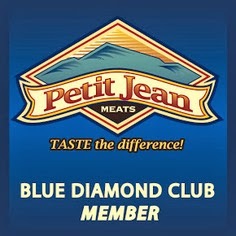 But after a purchase by the Marriott group in the 1970s, it became an individual franchise; it and two other stores owned by the same person (in Little Rock and Oklahoma City) closed in 1984. 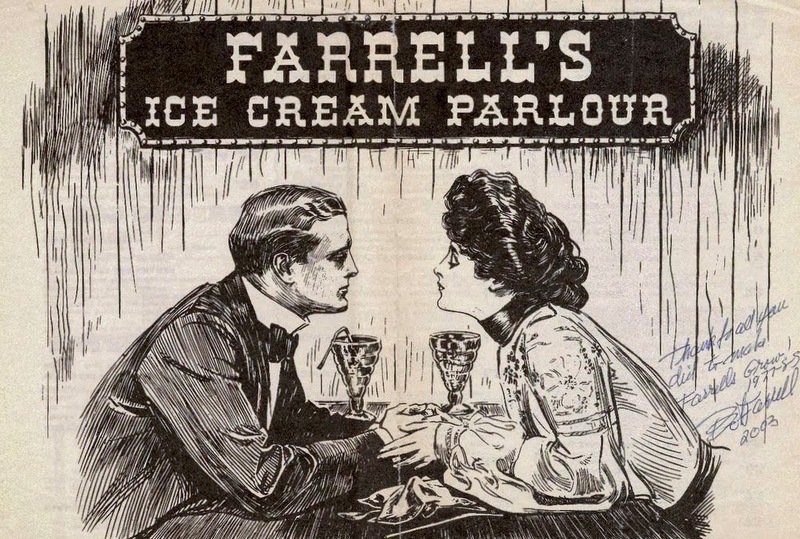 The idea of a happy, fun place to consume ice cream wasn't limited to Farrell's, though. On the south side of the river, we had another chain -- Swensen's. 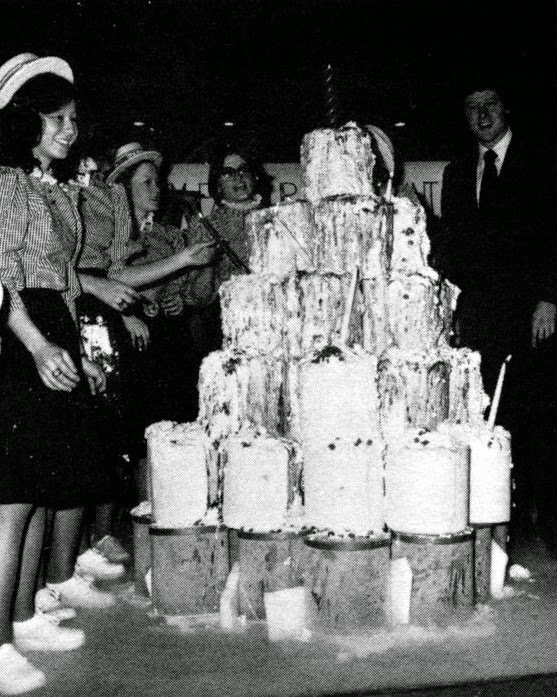 It was sparked in 1948 by a man who learned how to make ice cream while serving in the Army during World War II. Earle Swensen's initial restaurant was located in San Francisco but after franchising rights were sold the chain spread to more than 400 locations nationwide. 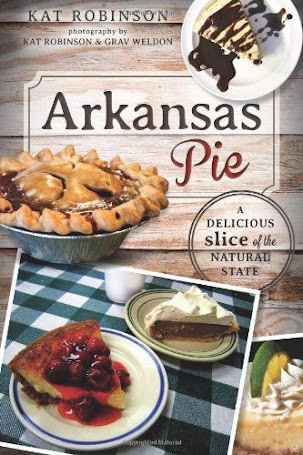 For Arkansas, that location was in the Market Street Shopping Center along Rodney Parham Road. Half the size of Farrell's, the location was lined with wooden booths and celebrated a lot of the same tamed Wild West ice cream saloon idea (for those of us who remember, it was a "thing" in the late 70s and early 80s -- Wendy's did it too). Swensen's didn't have all the bells and whistles of Farrell's, but it did have the Earthquake, which reminded me so much of this scene from Bill and Ted's Excellent Adventure. Now, I understand there's the Farrell's Zoo, but I don't have a recollection of that. What I do remember is sharing an Earthquake with a friend... more than once. I preferred the better-equipped Chocolate Earthquake, but if it was a big bowl full of scoops of ice cream, chances are I was going to like it. Like this girl. The Little Rock Swensen's location closed in the late 1980s, but the one in Springfield, MO was open until at least 1993... I actually made a pilgrimage there when I was in college. The whole company contracted and shrank nationwide, but it blew up again and hit a worldwide audience with locations in China, India, Columbia, Vietnam, Thailand... in fact, there are far more locations outside the U.S. today than there are inside. The closest drive to get to one today would be to pick up and head to Midland, TX -- the only Texas location for the chain. There are also a handful in California, Nevada and Florida. 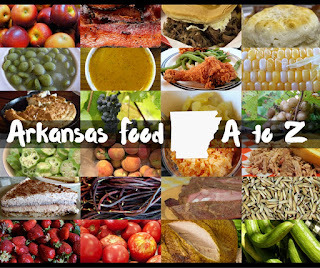 Of course, I grew up in Little Rock, and we had our own couple of homegrown sweet treat chains form right here. The first was HUGE... to the point of... well. Frank Hickingbotham started This Can't Be Yogurt here in town back in 1981 in the Market Street Shopping Center on Rodney Parham -- yes, pretty dang close to that Swensen's location. It was just a clean white counter and some soft-serve machines that doled out soft frozen yogurt. to TCBY -- but that didn't stop the growth. By 1986 there were over 400 stores. By 1987 there were over 800 stores. The company grew so big and so fast, it was a marvelous investment. 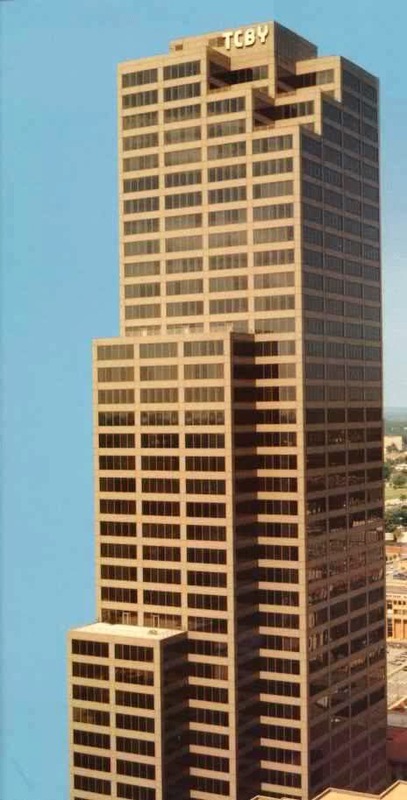 It left its mark on Little Rock -- literally -- for a while, the tallest building in the state was the TCBY Tower (which was later the Metropolitan Tower and is now the Simmons Bank Tower). I can remember the original This Can't Be Yogurt theme song, but I'm not going to sing it for you. 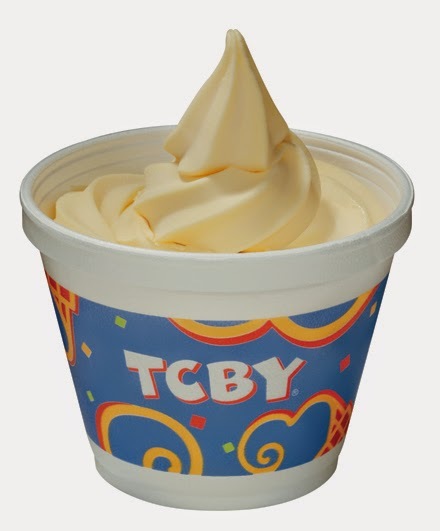 I did, however, find a clip of the commercial where they announced another name change, to TCBY Treats. 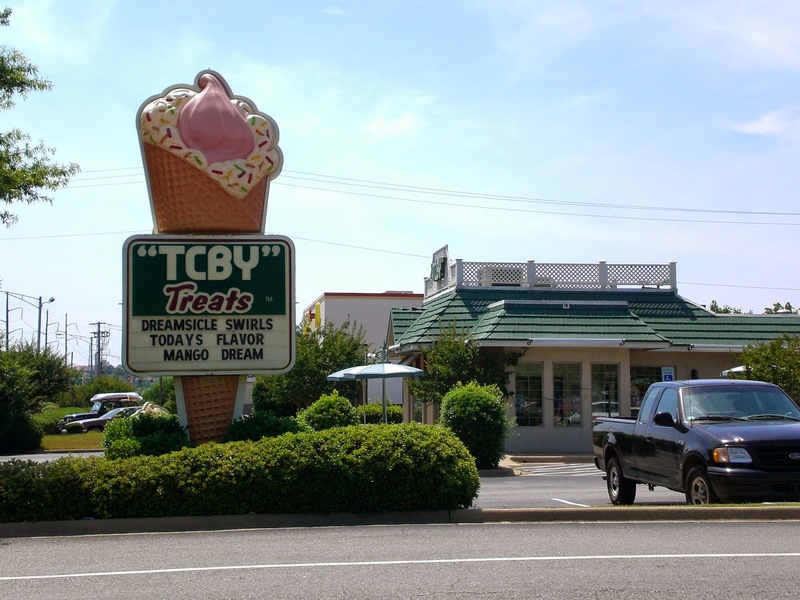 At one point, there were over 3000 TCBY locations, including spots all over Central Arkansas. But it shrank back. Mrs. Field's bought it in 2000, and it's still all over the place, but not here. There's a single stand-alone location on West Markham, one of the early stores, and today it also serves hand-dipped frozen stuff, too. The white chocolate will probably always be my favorite. And that brings me to the Purple Cow. 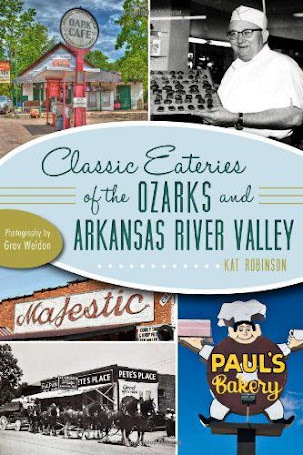 There are some folks who look down on the new-fangled dairy diners as unrefined, but Purple Cow's creators were Ed Moore and Paul Bash -- yes, THAT Paul Bash, who started Jacques and Suzanne's. The original location on Cantrell Road filled a gap when Swensen's left, a soda fountain where you could get various types of ice creams. It was such a welcome addition to the area that it's spawned more locations. Unlike the drive-in sort of dairy diner that serves soft-serve, Purple Cow proudly served Yarnell's ice cream, even commissioning a special purple version from the Arkansas ice cream maker (which lead to a panic when Yarnell's went under; fortunately, Yarnell's was bought, reopened and saved). So, here's the thing. You may not be aware of this, but Farrell's is still around. After just about every location closed down, there were two -- one in San Diego and one in Eugene, Oregon. In the late 1990s, Parlour Enterprises got the rights to develop new stores from The Kirin Group (which had bought the rights to develop more stores from Marriott), and new locations came about. Today you can enjoy lots of different ice cream confections at seven locations in California and one in Hawaii. 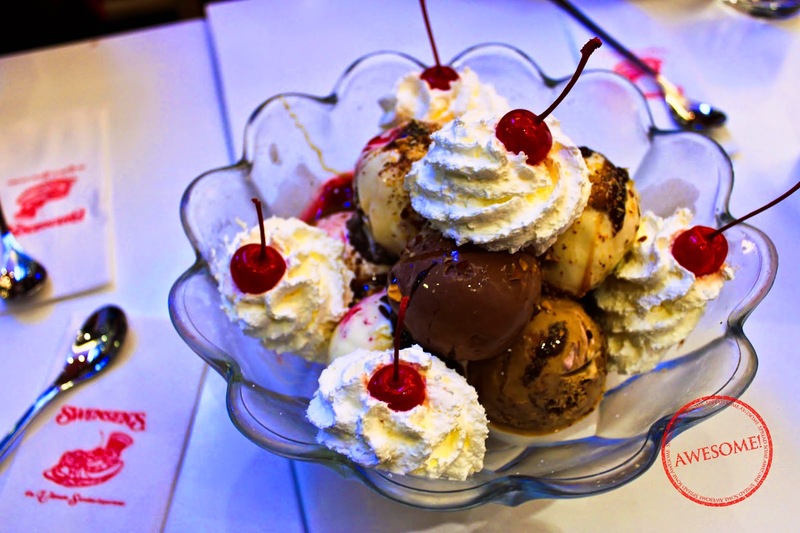 Food Network even declared the super sundaes at Farrell's one of its top five decadent desserts. But that doesn't answer the original idea for this post. Farrell's Ice Cream Parlour was part of the draw for my generation, a reason to choose McCain Mall over other shopping sites. Having that nostalgic Music Man-style eatery with its big ice cream creations return would be one step in creating a nostalgic destination for Gen Xers... pair it up with a showing of Flashdance, the original Star Wars trilogy or Xanadu and a before-the-show visit to Mr. Dunderbak's, and you're just a fashion mistake away from a time warp. So should Farrell's return? Or should Purple Cow consider a McCain Mall location? Is there a different ice cream magnate you'd rather see there? Yum....I remember all those places! Now I think I'll go have some ice cream for breakfast! I'm in! 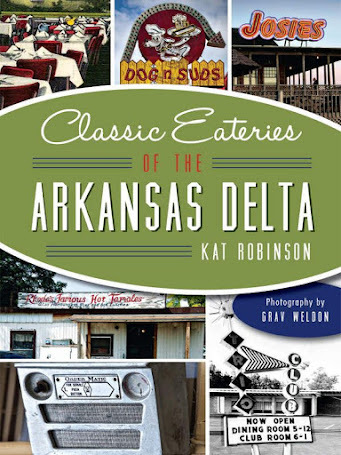 There also was a Swensen's in SW Little Rock for awhile. Looks and sounds amazing! Wish I could eat ice cream! I have a hazy memory of This Can't Be Yogurt changing to The Country's Best Yogurt before they became TCBY. Officially, the company is now TCBY: The Country's Best Yogurt. There is still a TCBY in Lakewood Village, NLR. It is our family tradition to go there after piano recital every year. My favorite is White Chocolate Mousse, too–with hot fudge. In high school, my BFF and I would often cruise across the river for a scoop of Chocolate Raspberry Truffle at Swensen's. I prefer the Cantrell location of The Purple Cow to the west LR. Guess I'm sentimental that way. PLEASE, if you have any sway, bring Farrell's back to McCain Mall! Both of my sisters got to have birthday parties there and I never did! No, I'm not bitter. Would also Love to see Farrell's come Back Again to McCain Mall!!! Plan On Peaches: Johnson County's Perfect Pick.